Shout Out Louds In Concert The Swedish pop band Shout Out Louds and the Queens, N.Y., pop group Freelance Whales make utterly infectious music. Hear both bands recorded live in concert from the 9:30 Club in Washington, D.C. The last time Shout Out Louds played in Washington, D.C., in 2007, it was a miserably rainy Sunday night and the show didn't start until after midnight. You could tell that the handful of people who showed up were fighting the urge to stay home. But the band's performance was so joyful and uplifting, the entire audience couldn't help but get swept up in the infectious energy. It was transporting. You can hear for yourself in this full concert, recorded live from the 9:30 Club in Washington, D.C. May 2. Freelance Whales opened the performance. 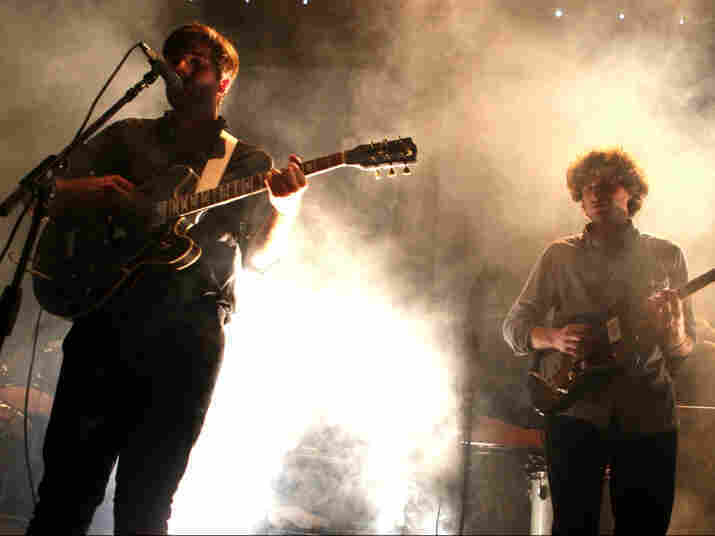 Shout Out Louds first arrived in the U.S. about five years ago as part of a new wave of exuberant pop bands from Sweden that included Peter Bjorn and John, Jens Lekman and Loney Dear. Shout Out Louds' debut release, Howl, Howl, Gaff Gaff wound up on many best-of lists in 2005, with its playful, sometimes wistful mix of sparkling guitar pop. The band's third and latest album is titled Work, out now on Merge Records. Phil Ek (Fleet Foxes, Band of Horses, The Shins) produced the record in Seattle, marking the first time the band has worked with anyone outside of Sweden. Freelance Whales, performing live at the 9:30 Club in Washington, D.C.
Much like Shout Out Louds, Freelance Whales' members make thoughtful, summery songs that celebrate life's joys and sorrows. The band's debut album, Weathervanes, is a richly orchestrated collection of songs, with delicately plucked banjo lines, warm harmonium tones and tinkling glockenspiels. 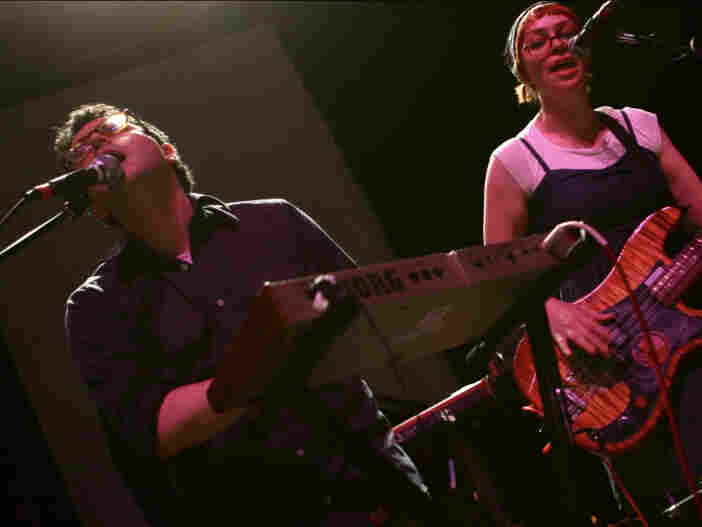 After forming in Queens, N.Y., in 2008, Freelance Whales spent about a year busking on the city streets and at subway stops before being picked up by Frenchkiss Records.